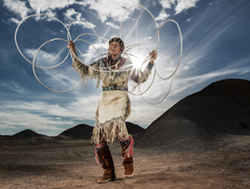 Jones Benally, world champion hoop dancer and traditional healer, will perform at Restival. Benally has introduced hoop dancing to audiences worldwide. Restival, the global host of wellness retreats and cultural festivals, will offer guests an exclusive opportunity to explore the traditions, arts and knowledge of the Navajo on the tribe’s historic homelands. This new adventure, scheduled for Sept. 12-17, 2016, will encourage guests to unplug from technology, reconnect with one’s self and others, and restore physical and mental equilibrium through ancient Navajo culture and rituals together with wellness and bodywork treatments to truly re-calibrate. 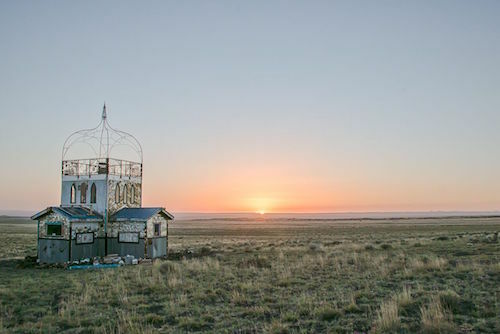 Restival Arizona’s site is located amid the four sacred mountains that define “Dinétah,” the unspoiled tribal homeland in the deserts of northern Arizona. 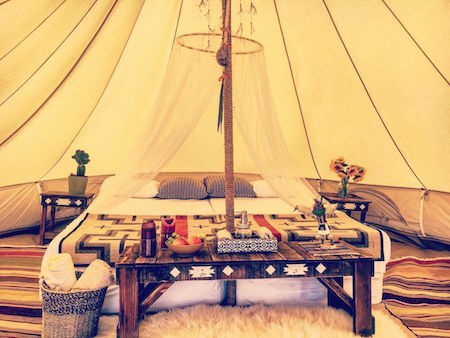 Guests will enjoy a comfortable eco-luxe camp featuring Navajo-made Tipis and bell tents overlooking the Painted Desert, with doors facing east in the traditional manner. The adventure features daily wellness workshops including meditation and yoga; body treatments and beauty therapies; organic dining; writing; gong baths; music and dance. The Restival experience takes travelers to new dimensions by inviting Diné (Navajo) leaders to lead traditional experiences including Cacao ceremonies, Medicine Wheel, song, art and sweat lodges in an original Hogan, a traditional Navajo structure used as housing or a place of ceremony. Guests will experience the changing seasons in northern Arizona, with average daytime temperatures ranging from 77-86 degrees Fahrenheit and evening temperatures of 50-59 degrees. Navajo Astronomy: Dr. David Begay, an expert on indigenous astronomy who consults for Jet Propulsion Lab/NASA, will bring the night sky’s constellations closer to guests through the use of powerful telescopes and an understanding of the Navajo perspective on the order of the universe. 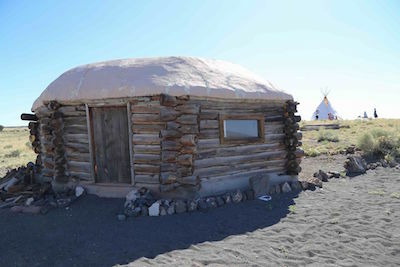 Storytelling and Harvest Celebration: Elders will bring evening campfires to life by telling traditional stories that connect the Diné to the natural world around them. The Benally family will share traditional dances and songs for the celebration of the harvest and of the full moon, which will occur on Sept. 16. Song Bird Grandmother: A medicine woman uses the four sacred directions to guide guests through a healing ceremony that opens perspectives to the world, and seeks to reconnect guests with the earth and sky. Mask Making: Acclaimed multimedia artist Zarco Guerrero, who lives within the Navajo Nation, makes masks for indigenous tribes around the world. His workshops will help guests create their own masks as unique keepsakes that reflect the Restival Arizona experience. To preserve the intimate experience, reservations for Restival 2016 are limited. For more information, please visit http://www.restival.global. 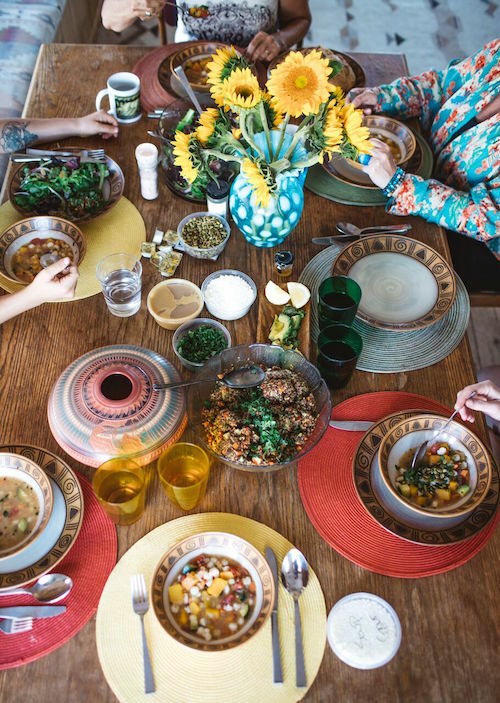 Restival, the global host of wellness retreats and cultural festivals, curates exclusive travel adventures that allow guests to immerse themselves in ancient--sometimes overlooked--cultures and traditions. Through the influence of nature and the land, guests can disconnect from urban life in small, intimate groups and restore equilibrium to both mind and body. For more information about upcoming Restival adventures, please visit http://www.restival.global, and follow us on Twitter at @restivalglobal and Instagram at restival.global. Blessing breakfast and sharing gratitude for the organic, locally sourced foods and juices daily. The Northern Arizona desert sun lights the Navajo Homeland at the Restival Arizona 2016 site. At Restival Arizona 2016, each Tipi, blessed by a Navajo elder, offers custom-made furniture, dream catchers, and other authentic Navajo features. Restival Arizona 2016 will include rituals and talks led by Navajo elders in a Hogan, a traditional Navajo structure still used today as housing or a place of ceremony.